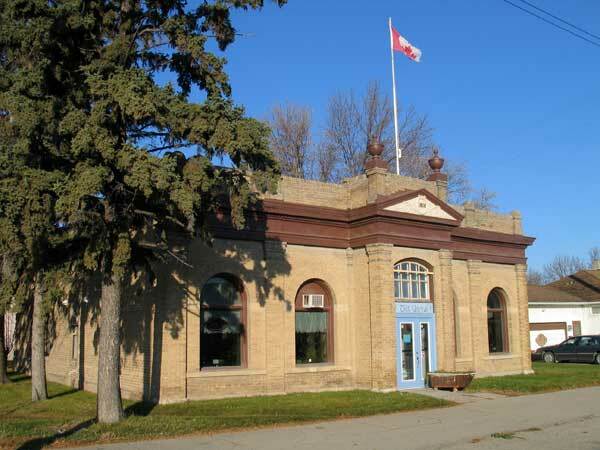 This building in Portage la Prairie is one of the best remaining examples of the modest public buildings the provincial government constructed in small urban centres around the turn of the twentieth century. Built in 1889 on a design by architect E. F. Head, the Neo-Classical-style facade was added in 1906 when the building was enlarged and refaced under the direction of Provincial Architect Samuel Hooper, at a cost of some $8,000. Manitoba Heritage Council Minutes, 1 December 1990.